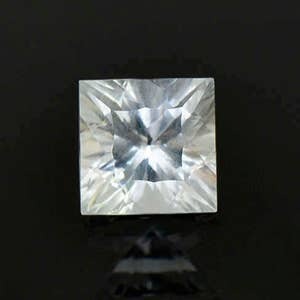 Size: 5.68 x 4.38 mm. 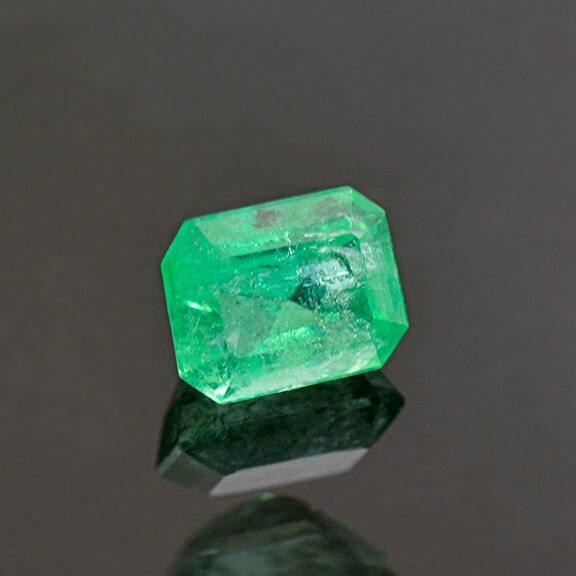 This beautiful gem came from the world’s best and largest producer of Emerald in the world, Columbia. The shape of the material yields more cut corner bar shapes, aka Emerald shapes, so this is a traditional and classic Emerald. 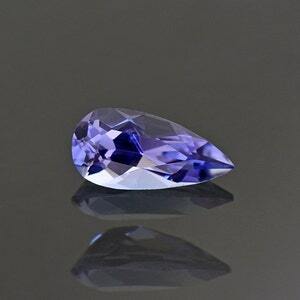 The stone has great color that is certainly eye catching. The stone is cut nicely and has attractive glittery flash. 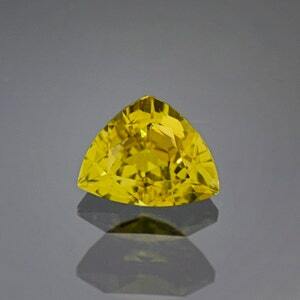 There are a slight amount of inclusions, but the market accepts this as a rule for Emerald because flawless stones are extremely rare, and insanely expensive. 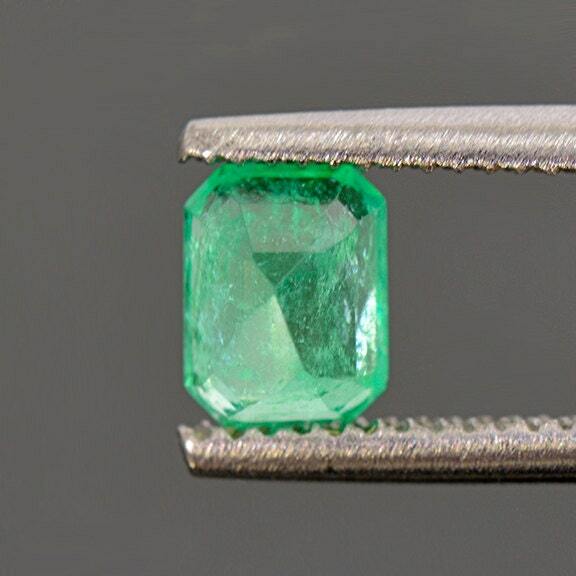 The stone has been oiled to improve clarity, which is done to the rough in Columbia and is an accepted practice that is done to practically every Emerald that is mined there. Don’t miss out on this gorgeous classic gem! 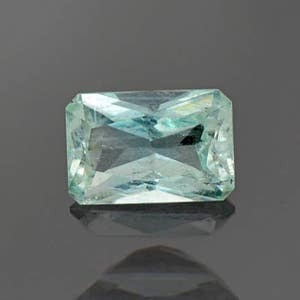 Princess Concave Cut Aquamarine Gemstone from Pakistan 1.88 cts.